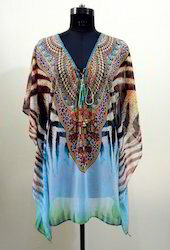 Perfect Kaftan dress in beautiful colors and embedded with RhineStones. Also the neck has matching string with hanging beads and stones at the edge. 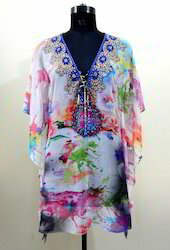 With the efforts of our team members, we are able to offer an exclusive range of Designer Kaftan Dresses. 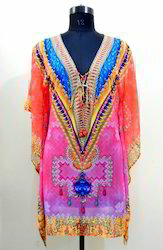 The fascinating design with embroidery work is the most attractive feature of these women Kaftans. 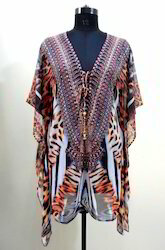 Our customers can have these women Kaftans from us in modified options according to the exact preferences and needs of customers. 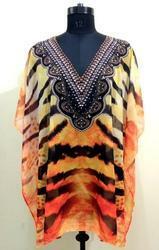 These women Kaftans are given at market leading prices to our customers. 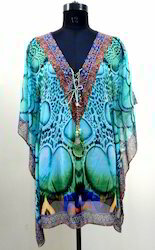 Perfect Short Kaftan dress in beautiful colors and embedded with RhineStones . 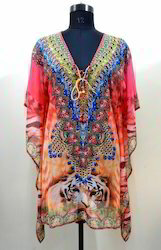 Made out of Digitally Printed Georgette Fabric. 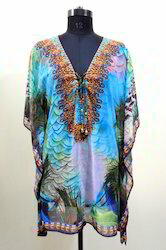 Also available with matching fabric string on the neck yoke with hanging beads and stones at the edge. 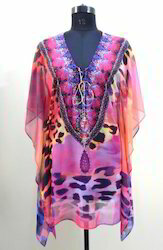 With the efforts of our team members, we are able to offer an exclusive range of Designer Kaftan Dresses. 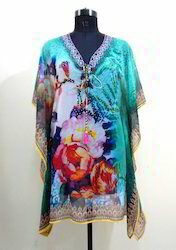 The fascinating design with embroidery work is the most attractive feature of these women Kaftans. 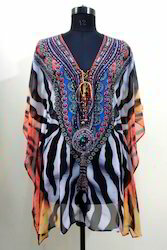 Our customers can have these women Kaftansfrom us in modified options according to the exact preferences and needs of customers. 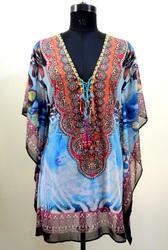 These women Kaftansare given at market leading prices to our customers. Also the neck has matchimg string with hanging beads and stones at the edge. 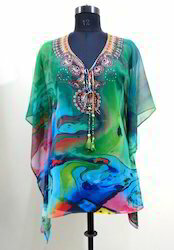 Perfect Short Caftan Dress in beautiful colors and embedded with RhineStones . 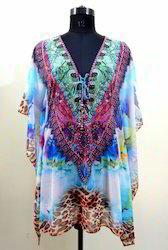 Looking for Short Kaftans ?